Deal Ask us how you can save up to $750 off your first months rent! Colonial Grand at Trinity Commons in Raleigh, NC is located just minutes from downtown Raleigh, Cary and RTP, area shopping, dining and entertainment. At Colonial Grand at Trinity Commons you'll enjoy a resort-style clubhouse with a 24-hour Cybex fitness center, 2 swimming pools with large tanning decks, and a billiards room; all within walking distance of Raleigh's PNC Arena and Carter Finley Stadium. 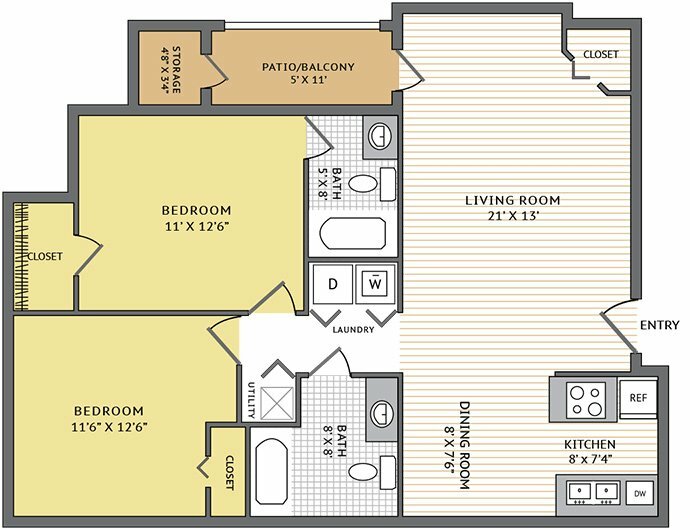 Colonial Grand At Trinity Commons is located and 3.79 miles from North Carolina State University at Raleigh. The property has a Walkscore of 29, so you will probably be driving or taking public transportation most of the time. Colonial Grand At Trinity Commons has many shops nearby. Coffee shops in the area include Neomonde, Cafe Carolina and Bakery, Panera Bread. There are a number of markets in the area include Whole Foods Market, Grand Asia Market, Trader Joe's.